Silicon Valley loves its buzzwords. And amid the current standbys like “Location-based” and “Social”, there’s a word that seems to be popping up more and more: Gamification. The basic idea is to incorporate game mechanics, like badges and points, into sites that don’t traditionally have them. This wouldn’t normally be a trivial task, but there are already a number of startups popping up that make ‘gamifiying’ a site much easier, like BigDoor and TC Disrupt finalist BadgeVille. But can these services actually help? 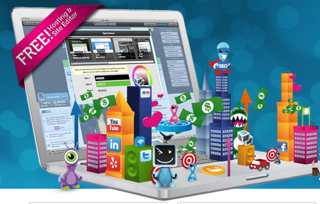 DevHub, a startup that lets users build out their own websites, certainly thinks so. Back in July the company relaunched its service using BigDoor to power some gaming mechanics, and the results are impressive: cofounder Mark Michael says that adding game mechanics to the site “increased their bottom line, user interaction, and the ultimate goal” of getting users to build out their custom websites. The gaming elements in DevHub are pretty straightforward: after initially signing up for the service, you’re prompted to earn more points by adding more elements to your site. As you earn more points, you get access to more options to further customize your webpage, like media widgets and link rolls — or, if you’re short on time, you can purchase these new features using real money. This system has worked well for DevHub so far, especially during the crucial period between getting the user to sign up and getting them to build out their custom website (which involves a little bit of work on their part). Before the relaunch, the average new user would complete four actions in the site builder before logging out (and possibly never coming back). Now, the average new user completes twelve actions during their first session. 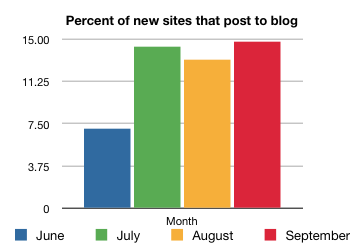 And the number of users who post to their blogs has more than doubled, from 7% to 15% of new signups. Things aren’t just looking up in terms of engagement, either. Prior to the site’s relaunch, virtual goods had a negligible impact on the site’s bottom line— they now make up 29% of DevHub’s gross revenues. For every 100 active users on the site, DevHub reports 3.5 paid purchases per month, which go for an average of $10.55 a pop.